We have several laboratories specifically designed and equipped for the study of nutrition and exercise. The unit is used for teaching and research in nutrition and dietetics. 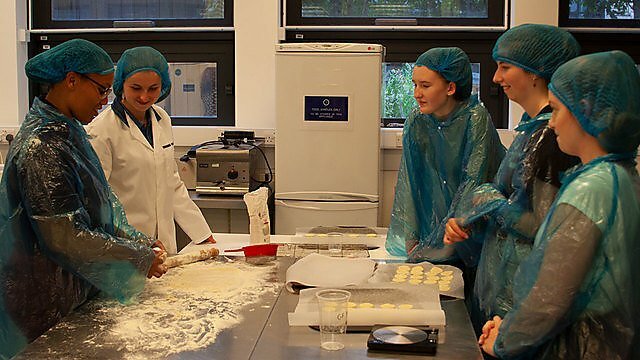 A product development laboratory where students can examine and prepare foods with differing ingredients or make up products such as sports drinks for testing with clients. A general teaching laboratory where consumption of food products is undertaken for taste testing and evaluation. Physical assessment of nutritional status can also be performed here using skinfold callipers and a range of bioelectrical impedance analysers. A nutritional analysis laboratory with equipment for conducting bomb calorimetry, fat extraction, nitrogen estimation and other analysis of food products. A clinical room for venepuncture and blood glucose monitoring to measure the effect of food ingestion or supplementation on the metabolism. The suite of labs is unique in that we can make the food, eat the food, analyse the composition of the food and monitor the effect of eating the food on human metabolism, all in this suite of labs. We also have dietary analysis software to assist in the investigation of composition of food products and the nutritional analysis of dietary intake. The Exercise Physiology Laboratory has received a number of equipment upgrades for students to practice and develop their skills in fitness testing and interpretation. 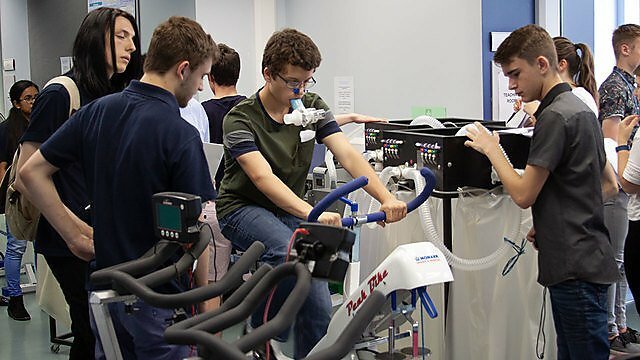 We have computerised systems for measuring ‘breath-by-breath’ pulmonary gas exchange with fully integrated software for programming cycle ergometers and treadmills. There is a separate seminar room attached to the main laboratory for analysing and interpreting physiological data. We also have other specialised technology for measuring sprint speed and muscle peak power with a near-infrared spectrometer for measuring changes in muscle oxygenation during exercise. 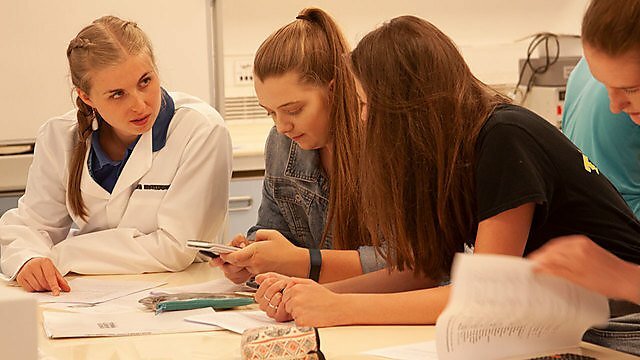 These resources are accessible for studying on core modules in addition to supporting independent research projects such as investigating the effects of exercise training and nutritional supplementation on physiological responses to exercise and human performance.